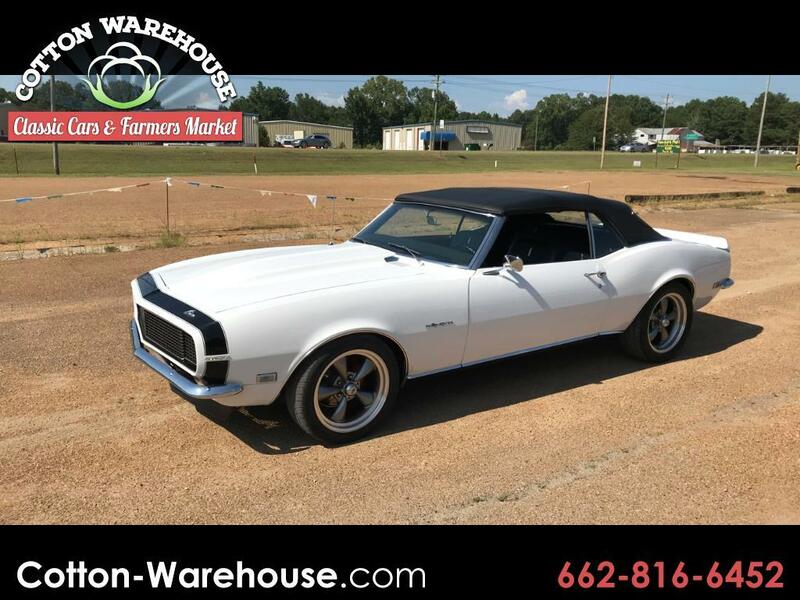 Recently restored, frame off, Camero RS with original 327 engine and 4 barrel carb. The car has only 55 miles since the restoration. The original 2 barrel intake, and the original hood goes with the car. During the restoration all body parts were replaced except one door and fender. This is a professional, concurs, restoration. It has a high rise hood, original pattern black hounds tooth bucket seats, console with wood grain and instrument cluster. Instruments include fuel, oil, temp, and battery. It also has a Tick Tock Tach and power convertible top with glass window. Another unusual feature is the fold down rear seat. It has a rear spoiler. The American Racing 17 inch wheels are 225/R45 on the front and 275/R40 rear. It also has upgraded A/C and Disc brakes on all 4 wheels. This convertible has been restored to perfection.